Postel C, Viard A, André C, Guénolé F, de Flores R, Baleyte JM, Gerardin P, Eustache F, Dayan J, Guillery-Girard B. Hippocampal subfields alterations in adolescents with post-traumatic stress disorder. Mar 2019. Epub 27-10-2018. Hum Brain Mapp 40: 1244-1252. Tomadesso C, Gonneaud J, Egret S, Perrotin A, Pélerin A, de Flores R, de la Sayette V, Desgranges B, Chételat G, La Joie R. Is there a specific memory signature associated with Aβ-PET positivity in patients with amnestic mild cognitive impairment? Jan 2019. Epub 31-01-2019. Neurobiol. Aging 77: 94-103. Lange M, Heutte N, Noal S, Rigal O, Kurtz JE, Lévy C, Allouache D, Rieux C, Lefel J, Clarisse B, Leconte A, Veyret C, Barthélémy P, Longato N, Tron L, Castel H, Eustache F, Giffard B, Joly F. Cognitive Changes After Adjuvant Treatment in Older Adults with Early-Stage Breast Cancer. Jan 2019. Epub 22-06-2018. Oncologist 24: 62-68. Rucher G, Cameliere L, Fendri J, Abbas A, Dupont K, Kamel S, Delcroix N, Dupont A, Berger L, Manrique A. Performance Evaluation of a Dedicated Preclinical PET/CT System for the Assessment of Mineralization Process in a Mouse Model of Atherosclerosis. Dec 2018. Mol Imaging Biol 20: 984-992. Perrier J, Viard A, Levy C, Morel N, Allouache D, Noal S, Joly F, Eustache F, Giffard B. Longitudinal investigation of cognitive deficits in breast cancer patients and their gray matter correlates: impact of education level. Nov 2018. Epub 07-11-2018. Brain Imaging Behav. Pergola G, Danet L, Pitel AL, Carlesimo GA, Segobin S, Pariente J, Suchan B, Mitchell AS, Barbeau EJ. The Regulatory Role of the Human Mediodorsal Thalamus. Nov 2018. Epub 17-09-2018. Trends Cogn. Sci. (Regul. Ed.) 22: 1011-1025. Postel C, Viard A, André C, Guénolé F, de Flores R, Baleyte JM, Gerardin P, Eustache F, Dayan J, Guillery-Girard B. Hippocampal subfields alterations in adolescents with post-traumatic stress disorder. Oct 2018. Epub 27-10-2018. Hum Brain Mapp. Duivon M, Perrier J, Joly F, Licaj I, Grellard JM, Clarisse B, Lévy C, Fleury P, Madeleine S, Lefèvre N, Rauchs G, Lecouvey G, Fraisse F, Viader F, Eustache F, Desgranges B, Giffard B. Impact of breast cancer on prospective memory functioning assessed by virtual reality and influence of sleep quality and hormonal therapy: PROSOM-K study. Sep 2018. Epub 03-09-2018. BMC Cancer 18: 866. Ruet A, Jourdan C, Bayen E, Darnoux E, Sahridj D, Ghout I, Azerad S, Pradat Diehl P, Aegerter P, Charanton J, Vallat Azouvi C, Azouvi P. Employment outcome four years after a severe traumatic brain injury: results of the Paris severe traumatic brain injury study. 09 2018. Epub 18-05-2017. Disabil Rehabil 40: 2200-2207. Duclos H, Bejanin A, Eustache F, Desgranges B, Laisney M. Role of context in affective theory of mind in Alzheimer’s disease. Oct 2018. Epub 31-08-2018. Neuropsychologia 119: 363-372. Marcaggi G, Guénolé F. Freudarwin: Evolutionary Thinking as a Root of Psychoanalysis. 2018. Epub 19-06-2018. Front Psychol 9: 892. Cabé N, Laniepce A, Boudehent C, Pitel AL, Vabret F. [Cognitive impairment]. Jun 2018. Epub 07-05-2018. Presse Med 47: 565-574. Bejanin A, La Joie R, Landeau B, Belliard S, de La Sayette V, Eustache F, Desgranges B, Chételat G. Distinct Interplay Between Atrophy and Hypometabolism in Alzheimer’s Versus Semantic Dementia. Apr 2018. Epub 13-04-2018. Cereb. Cortex. Duclos H, Desgranges B, Eustache F, Laisney M. Impairment of social cognition in neurological diseases. Mar 2018. Epub 30-03-2018. Rev. Neurol. (Paris). Mendes A, Bertrand A, Lamari F, Colliot O, Routier A, Godefroy O, Etcharry-Bouyx F, Moreaud O, Pasquier F, Couratier P, Bennys K, Vercelletto M, Martinaud O, Laurent B, Pariente J, Puel M, Epelbaum S, Belliard S, Kaaouana T, Fillon L, Chupin M, Dubois B, Teichmann M, PHRC “CAPP” Study Group. Cerebral microbleeds and CSF Alzheimer biomarkers in primary progressive aphasias. Mar 2018. Epub 14-02-2018. Neurology 90: e1057-e1065. Wirth M, Bejanin A, La Joie R, Arenaza-Urquijo EM, Gonneaud J, Landeau B, Perrotin A, Mézenge F, de La Sayette V, Desgranges B, Chételat G. Regional patterns of gray matter volume, hypometabolism, and beta-amyloid in groups at risk of Alzheimer’s disease. Mar 2018. Epub 07-11-2017. Neurobiol. Aging 63: 140-151. Lange M, Laviec H, Castel H, Heutte N, Leconte A, Léger I, Giffard B, Capel A, Dubois M, Clarisse B, Coquan E, Di Fiore F, Gouérant S, Bartélémy P, Pierard L, Fizazi K, Joly F. Correction to: Impact of new generation hormone-therapy on cognitive function in elderly patients treated for a metastatic prostate cancer: Cog-Pro trial protocol. Jan 2018. Epub 30-01-2018. BMC Cancer 18: 110. Gonneaud J, Arenaza-Urquijo EM, Mézenge F, Landeau B, Gaubert M, Bejanin A, de Flores R, Wirth M, Tomadesso C, Poisnel G, Abbas A, Desgranges B, Chételat G. Increased florbetapir binding in the temporal neocortex from age 20 to 60 years. Dec 2017. Epub 17-11-2017. Neurology 89: 2438-2446. Mutlu J, Landeau B, Gaubert M, de La Sayette V, Desgranges B, Chételat G. Distinct influence of specific versus global connectivity on the different Alzheimer’s disease biomarkers. Dec 2017. Brain 140: 3317-3328. Gonneaud J, Lecouvey G, Groussard M, Gaubert M, Landeau B, Mézenge F, de La Sayette V, Eustache F, Desgranges B, Rauchs G. Functional dedifferentiation and reduced task-related deactivations underlie the age-related decline of prospective memory. Dec 2017. Brain Imaging Behav 11: 1873-1884. Buhour MS, Doidy F, Mondou A, Pélerin A, Carluer L, Eustache F, Viader F, Desgranges B. Voxel-based mapping of grey matter volume and glucose metabolism profiles in amyotrophic lateral sclerosis. Dec 2017. Epub 06-03-2017. EJNMMI Res 7: 21. Arenaza-Urquijo EM, Bejanin A, Gonneaud J, Wirth M, La Joie R, Mutlu J, Gaubert M, Landeau B, de la Sayette V, Eustache F, Chételat G. Association between educational attainment and amyloid deposition across the spectrum from normal cognition to dementia: neuroimaging evidence for protection and compensation. Nov 2017. Epub 24-06-2017. Neurobiol. Aging 59: 72-79. Merck C, Corouge I, Jonin PY, Desgranges B, Gauvrit JY, Belliard S. What semantic dementia teaches us about the functional organization of the left posterior fusiform gyrus. Nov 2017. Epub 23-09-2017. Neuropsychologia 106: 159-168.
de Flores R, Mutlu J, Bejanin A, Gonneaud J, Landeau B, Tomadesso C, Mézenge F, de La Sayette V, Eustache F, Chételat G. Intrinsic connectivity of hippocampal subfields in normal elderly and mild cognitive impairment patients. Oct 2017. Epub 27-06-2017. Hum Brain Mapp 38: 4922-4932. Gagnepain P, Fauvel B, Desgranges B, Gaubert M, Viader F, Eustache F, Groussard M, Platel H. Musical Expertise Increases Top-Down Modulation Over Hippocampal Activation during Familiarity Decisions. 2017. Epub 26-09-2017. Front Hum Neurosci 11: 472. Cantou P, Platel H, Desgranges B, Groussard M. How motor, cognitive and musical expertise shapes the brain: Focus on fMRI and EEG resting-state functional connectivity. Sep 2017. Epub 06-09-2017. J. Chem. Neuroanat..
Brion M, D’Hondt F, Lannoy S, Pitel AL, Davidoff DA, Maurage P. Crossmodal processing of emotions in alcohol-dependence and Korsakoff syndrome. Sep 2017. Epub 08-09-2017. Cogn Neuropsychiatry 22: 436-451. Chételat G, Mézenge F, Tomadesso C, Landeau B, Arenaza-Urquijo E, Rauchs G, André C, de Flores R, Egret S, Gonneaud J, Poisnel G, Chocat A, Quillard A, Desgranges B, Bloch JG, Ricard M, Lutz A. Reduced age-associated brain changes in expert meditators: a multimodal neuroimaging pilot study. Aug 2017. Epub 31-08-2017. Sci Rep 7: 10160. Lange M, Laviec H, Castel H, Heutte N, Leconte A, Léger I, Giffard B, Capel A, Dubois M, Clarisse B, Coquan E, Di Fiore F, Gouérant S, Bartélémy P, Pierard L, Fizazi K, Joly F. Impact of new generation hormone-therapy on cognitive function in elderly patients treated for a metastatic prostate cancer: Cog-Pro trial protocol. Aug 2017. Epub 16-08-2017. BMC Cancer 17: 549. Brion M, D’Hondt F, Pitel AL, Lecomte B, Ferauge M, de Timary P, Maurage P. Executive functions in alcohol-dependence: A theoretically grounded and integrative exploration. Aug 2017. Epub 19-05-2017. Drug Alcohol Depend 177: 39-47. Gagnepain P, Hulbert J, Anderson MC. Parallel Regulation of Memory and Emotion Supports the Suppression of Intrusive Memories. Jul 2017. Epub 30-05-2017. J. Neurosci. 37: 6423-6441. Desaunay P, Clochon P, Doidy F, Lambrechts A, Bowler DM, Gérardin P, Baleyte JM, Eustache F, Guillery-Girard B. Impact of Semantic Relatedness on Associative Memory: An ERP Study. 2017. Epub 29-06-2017. Front Hum Neurosci 11: 335. Madigand-Tordjman MA, Egler PJ, Bertran F, Jokic M, Guénolé F. [Life-threatening sleepwalking (Elpenor’s syndrome) in a 10-year-old child]. Jun 2017. Epub 23-04-2017. Arch Pediatr 24: 557-560. Bejanin A, Chételat G, Laisney M, Pélerin A, Landeau B, Merck C, Belliard S, de La Sayette V, Eustache F, Desgranges B. Distinct neural substrates of affective and cognitive theory of mind impairment in semantic dementia. Jun 2017. Epub 06-04-2016. Soc Neurosci 12: 287-302. Ruet A, Jourdan C, Bayen E, Darnoux E, Sahridj D, Ghout I, Azerad S, Pradat Diehl P, Aegerter P, Charanton J, Vallat Azouvi C, Azouvi P. Employment outcome four years after a severe traumatic brain injury: results of the Paris severe traumatic brain injury study. May 2017. Epub 18-05-2017. Disabil Rehabil: 1-8. Bayen E, Jourdan C, Ghout I, Pradat-Diehl P, Darnoux E, Nelson G, Vallat-Azouvi C, Charenton J, Aegerter P, Ruet A, Azouvi P. Negative impact of litigation procedures on patient outcomes four years after severe traumatic brain injury: results from the PariS-traumatic brain injury study. May 2017. Epub 16-05-2017. Disabil Rehabil: 1-8. Perrotin A, La Joie R, de La Sayette V, Barré L, Mézenge F, Mutlu J, Guilloteau D, Egret S, Eustache F, Chételat G. Subjective cognitive decline in cognitively normal elders from the community or from a memory clinic: Differential affective and imaging correlates. May 2017. Epub 28-09-2016. Alzheimers Dement 13: 550-560. Desaunay P, Cerf-Hollender A, Andro G, Gerardin P, Dreyfus M, Guenole F. High-risk behaviours for the fœtus in pregnant women: The medicolegal and judicial aspects. May 2017. Epub 31-03-2017. J Gynecol Obstet Hum Reprod 46: 431-437. Lecouvey G, Gonneaud J, Piolino P, Madeleine S, Orriols E, Fleury P, Eustache F, Desgranges B. Is binding decline the main source of the ageing effect on prospective memory? A ride in a virtual town. 2017. Epub 10-04-2017. Socioaffect Neurosci Psychol 7: 1304610. Arenaza-Urquijo EM, de Flores R, Gonneaud J, Wirth M, Ourry V, Callewaert W, Landeau B, Egret S, Mézenge F, Desgranges B, Chételat G. Distinct effects of late adulthood cognitive and physical activities on gray matter volume. Apr 2017. Brain Imaging Behav 11: 346-356. Hu X, Bergström ZM, Gagnepain P, Anderson MC. Suppressing Unwanted Memories Reduces Their Unintended Influences. Apr 2017. Epub 06-04-2017. Curr Dir Psychol Sci 26: 197-206. Bejanin A, Desgranges B, La Joie R, Landeau B, Perrotin A, Mézenge F, Belliard S, de La Sayette V, Eustache F, Chételat G. Distinct white matter injury associated with medial temporal lobe atrophy in Alzheimer’s versus semantic dementia. Apr 2017. Epub 16-12-2016. Hum Brain Mapp 38: 1791-1800. Brion M, de Timary P, Pitel AL, Maurage P. Source Memory in Korsakoff Syndrome: Disentangling the Mechanisms of Temporal Confusion. Mar 2017. Epub 03-02-2017. Alcohol. Clin. Exp. Res. 41: 596-607. Noël A, Quinette P, Dayan J, de la Sayette V, Viader F, Desgranges B, Giffard B, Eustache F. Influence of depressive symptoms on memory in transient global amnesia. Mar 2017. Epub 14-07-2015. J Neuropsychol 11: 108-121. Buhour MS, Doidy F, Laisney M, Pitel AL, de La Sayette V, Viader F, Eustache F, Desgranges B. Pathophysiology of the behavioral variant of frontotemporal lobar degeneration: A study combining MRI and FDG-PET. Feb 2017. Brain Imaging Behav 11: 240-252. Dayan J, Rauchs G, Guillery-Girard B. Rhythms dysregulation: A new perspective for understanding PTSD? Feb 2017. Epub 01-02-2017. J. Physiol. Paris. Dégeilh F, Viard A, Guénolé F, Gaubert M, Egler PJ, Egret S, Gerardin P, Baleyte JM, Eustache F, Dayana J, Guillery-Girard B. Functional brain alterations during self-reference processing in adolescents with sexual abuse-related post-traumatic stress disorder: A preliminary report. Feb 2017. Neurocase 23: 52-59. Gaubert M, Villain N, Landeau B, Mézenge F, Egret S, Perrotin A, Belliard S, de La Sayette V, Eustache F, Desgranges B, Chételat G, Rauchs G. Neural Correlates of Self-Reference Effect in Early Alzheimer’s Disease. 2017. J. Alzheimers Dis. 56: 717-731. Martinaud O. Visual agnosia and focal brain injury. . Epub 24-08-2017. Rev. Neurol. (Paris) 173: 451-460. Guénolé F, Spiers S, Madigand-Tordjman MA, Bach N, Rébillard C. Le diagnostic de l’hyperactivité de l’enfant. Soins Pediatr Pueric 38: 36-40. La Joie R, Perrotin A, Egret S, Pasquier F, Tomadesso C, Mézenge F, Desgranges B, de La Sayette V, Chételat G. Qualitative and quantitative assessment of self-reported cognitive difficulties in nondemented elders: Association with medical help seeking, cognitive deficits, and β-amyloid imaging. 2016. Epub 18-12-2016. Alzheimers Dement (Amst) 5: 23-34. Malle C, Ginon B, Bourrilhon C. Brief Working Memory and Physiological Monitoring During a High-Altitude Expedition. Dec 2016. Epub 22-08-2016. High Alt. Med. Biol. 17: 359-364. Vabret F, Lannuzel C, Cabe N, Ritz L, Boudehent C, Eustache F, Pitel AL, Beaunieux H. [Alcohol-related neuropsychological impairments: Nature, impact and detection]. Dec 2016. Epub 30-03-2016. Presse Med 45: 1124-1132. Gonneaud J, Arenaza-Urquijo EM, Fouquet M, Perrotin A, Fradin S, de La Sayette V, Eustache F, Chételat G. Relative effect of APOE ε4 on neuroimaging biomarker changes across the lifespan. Oct 2016. Epub 28-09-2016. Neurology 87: 1696-1703. 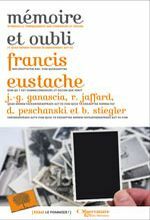 Juskenaite A, Quinette P, Laisney M, Eustache ML, Desgranges B, Viader F, Eustache F. Preserved Self-Evaluation in Amnesia Supports Access to the Self through Introspective Computation. 2016. Epub 16-09-2016. Front Hum Neurosci 10: 462. Deslee G, Burgel PR, Escamilla R, Chanez P, Court-Fortune I, Nesme-Meyer P, Brinchault-Rabin G, Perez T, Jebrak G, Caillaud D, Paillasseur JL, Roche N. Impact of current cough on health-related quality of life in patients with COPD. 2016. Epub 13-09-2016. Int J Chron Obstruct Pulmon Dis 11: 2091-2097. Ritz L, Coulbault L, Lannuzel C, Boudehent C, Segobin S, Eustache F, Vabret F, Pitel AL, Beaunieux H. Clinical and Biological Risk Factors for Neuropsychological Impairment in Alcohol Use Disorder. 2016. Epub 12-09-2016. PLoS ONE 11: e0159616. Chételat G, Ossenkoppele R, Villemagne VL, Perrotin A, Landeau B, Mézenge F, Jagust WJ, Dore V, Miller BL, Egret S, Seeley WW, van der Flier WM, La Joie R, Ames D, van Berckel BN, Scheltens P, Barkhof F, Rowe CC, Masters CL, de La Sayette V, Bouwman F, Rabinovici GD. Atrophy, hypometabolism and clinical trajectories in patients with amyloid-negative Alzheimer’s disease. Sep 2016. Epub 29-06-2016. Brain 139: 2528-39. Lange M, Heutte N, Rigal O, Noal S, Kurtz JE, Lévy C, Allouache D, Rieux C, Lefel J, Clarisse B, Veyret C, Barthélémy P, Longato N, Castel H, Eustache F, Giffard B, Joly F. Decline in Cognitive Function in Older Adults With Early-Stage Breast Cancer After Adjuvant Treatment. Jul 2016. Epub 29-07-2016. Oncologist. Lamotte G, Morello R, Lebasnier A, Agostini D, Bouvard G, De La Sayette V, Defer GL. Influence of education on cognitive performance and dopamine transporter binding in dementia with Lewy bodies. Jul 2016. Epub 10-05-2016. Clin Neurol Neurosurg 146: 138-43. Leveque Y, Fauvel B, Groussard M, Caclin A, Albouy P, Platel H, Tillmann B. Altered intrinsic connectivity of the auditory cortex in congenital amusia. Jul 2016. Epub 23-03-2016. J. Neurophysiol. 116: 88-97. Eustache F, Viard A, Desgranges B. The MNESIS model: Memory systems and processes, identity and future thinking. Jul 2016. Epub 10-05-2016. Neuropsychologia 87: 96-109. Amieva H, Robert PH, Grandoulier AS, Meillon C, De Rotrou J, Andrieu S, Berr C, Desgranges B, Dubois B, Girtanner C, Joël ME, Lavallart B, Nourhashemi F, Pasquier F, Rainfray M, Touchon J, Chêne G, Dartigues JF. Group and individual cognitive therapies in Alzheimer’s disease: the ETNA3 randomized trial. May 2016. Epub 17-11-2015. Int Psychogeriatr 28: 707-17. Branger P, Arenaza-Urquijo EM, Tomadesso C, Mézenge F, André C, de Flores R, Mutlu J, de La Sayette V, Eustache F, Chételat G, Rauchs G. Relationships between sleep quality and brain volume, metabolism, and amyloid deposition in late adulthood. May 2016. Epub 17-02-2016. Neurobiol. Aging 41: 107-114. Isingrini M, Sacher M, Perrotin A, Taconnat L, Souchay C, Stoehr H, Bouazzaoui B. Episodic feeling-of-knowing relies on noncriterial recollection and familiarity: Evidence using an online remember-know procedure. Apr 2016. Epub 05-02-2016. Conscious Cogn 41: 31-40. Brion M, Pitel AL, D’Hondt F. New Perspectives in the Exploration of Korsakoff’s Syndrome: The Usefulness of Neurophysiological Markers. 2016. Epub 16-02-2016. Front Psychol 7: 168. Cabé N, Laniepce A, Ritz L, Lannuzel C, Boudehent C, Vabret F, Eustache F, Beaunieux H, Pitel AL. [Cognitive impairments in alcohol dependence: From screening to treatment improvements]. Feb 2016. Epub 14-01-2016. Encephale 42: 74-81. Leblond M, Laisney M, Lamidey V, Egret S, de La Sayette V, Chételat G, Piolino P, Rauchs G, Desgranges B, Eustache F. Self-reference effect on memory in healthy aging, mild cognitive impairment and Alzheimer’s disease: Influence of identity valence. Jan 2016. Epub 05-11-2015. Cortex 74: 177-90. Kenigsberg PA, Aquino JP, Bérard A, Gzil F, Andrieu S, Banerjee S, Brémond F, Buée L, Cohen-Mansfield J, Mangialasche F, Platel H, Salmon E, Robert P. Dementia beyond 2025: Knowledge and uncertainties. Jan 2016. Epub 03-03-2015. Dementia (London) 15: 6-21. Legallois D, Belin A, Nesterov SV, Milliez P, Parienti JJ, Knuuti J, Abbas A, Tirel O, Agostini D, Manrique A. Cardiac rehabilitation improves coronary endothelial function in patients with heart failure due to dilated cardiomyopathy: A positron emission tomography study. Jan 2016. Epub 18-12-2014. Eur J Prev Cardiol 23: 129-36. Lange M, Heutte N, Morel N, Eustache F, Joly F, Giffard B. Cognitive complaints in cancer: The French version of the Functional Assessment of Cancer Therapy-Cognitive Function (FACT-Cog), normative data from a healthy population. 2016. Epub 07-05-2015. Neuropsychol Rehabil 26: 392-409. 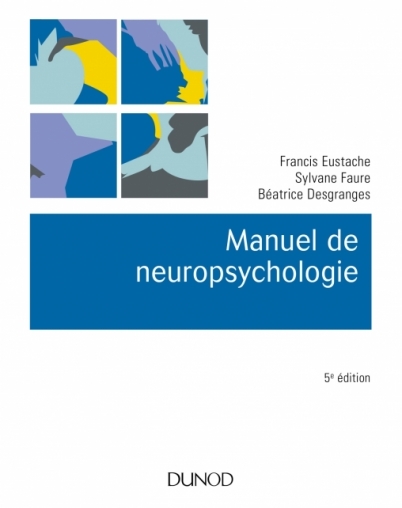 Fliss R, Le Gall D, Etcharry-Bouyx F, Chauviré V, Desgranges B, Allain P. Theory of Mind and social reserve: Alternative hypothesis of progressive Theory of Mind decay during different stages of Alzheimer’s disease. 2016. Epub 21-10-2015. Soc Neurosci 11: 409-23. Legrand N, Gagnepain P, Peschanski D, Eustache F. [Neuroscience and collective memory: memory schemas linking brain, societies and cultures]. 2015. Epub 28-01-2016. Biol Aujourdhui 209: 273-86. Malle C, Eustache F, Rauchs G. [The role of sleep in memory consolidation: effects of age and Alzheimer’s disease]. 2015. Epub 28-01-2016. Biol Aujourdhui 209: 261-72. Dégeilh F, Eustache F, Guillery-Girard B. [Cognitive and brain development of memory from infancy to early adulthood]. 2015. Epub 28-01-2016. Biol Aujourdhui 209: 249-60. Joly F, Giffard B, Rigal O, De Ruiter MB, Small BJ, Dubois M, LeFel J, Schagen SB, Ahles TA, Wefel JS, Vardy JL, Pancré V, Lange M, Castel H. Impact of Cancer and Its Treatments on Cognitive Function: Advances in Research From the Paris International Cognition and Cancer Task Force Symposium and Update Since 2012. Dec 2015. Epub 05-09-2015. J Pain Symptom Manage 50: 830-41. Péron JA, Piolino P, Moal-Boursiquot SL, Biseul I, Leray E, Bon L, Desgranges B, Eustache F, Belliard S. Preservation of Person-Specific Semantic Knowledge in Semantic Dementia: Does Direct Personal Experience Have a Specific Role? 2015. Epub 19-11-2015. Front Hum Neurosci 9: 625. Ritz L, Lannuzel C, Boudehent C, Vabret F, Bordas N, Segobin S, Eustache F, Pitel AL, Beaunieux H. Validation of a brief screening tool for alcohol-related neuropsychological impairments. Nov 2015. Alcohol. Clin. Exp. Res. 39: 2249-60. Arenaza-Urquijo EM, Gonneaud J, Fouquet M, Perrotin A, Mézenge F, Landeau B, Egret S, De la Sayette V, Desgranges B, Chételat G. Interaction between years of education and APOE ε4 status on frontal and temporal metabolism. Oct 2015. Epub 25-09-2015. Neurology 85: 1392-9. Perrotin A, de Flores R, Lamberton F, Poisnel G, La Joie R, de la Sayette V, Mézenge F, Tomadesso C, Landeau B, Desgranges B, Chételat G. Hippocampal Subfield Volumetry and 3D Surface Mapping in Subjective Cognitive Decline. Sep 2015. J. Alzheimers Dis. 48 Suppl 1: S141-50. Perrotin A, Desgranges B, Landeau B, Mézenge F, La Joie R, Egret S, Pélerin A, de la Sayette V, Eustache F, Chételat G. Anosognosia in Alzheimer disease: Disconnection between memory and self-related brain networks. Sep 2015. Epub 21-07-2015. Ann. Neurol. 78: 477-86. Morel N, Dayan J, Piolino P, Viard A, Allouache D, Noal S, Levy C, Joly F, Eustache F, Giffard B. Emotional specificities of autobiographical memory after breast cancer diagnosis. Sep 2015. Epub 16-05-2015. Conscious Cogn 35: 42-52. Kenigsberg PA, Aquino JP, Berard A, Boucart M, Bouccara D, Brand G, Charras K, Garcia-Larrea L, Gzil F, Krolak-Salmon P, Madjlessi A, Malaquin-Pavan É, Penicaud L, Platel H, Pozzo T, Reintjens C, Salmon É, Vergnon L, Robert P. [Sensory functions and Alzheimer’s disease: a multi-disciplinary approach]. Sep 2015. Geriatr Psychol Neuropsychiatr Vieil 13: 243-58. Segobin S, La Joie R, Ritz L, Beaunieux H, Desgranges B, Chételat G, Pitel AL, Eustache F. FDG-PET Contributions to the Pathophysiology of Memory Impairment. Sep 2015. Epub 30-08-2015. Neuropsychol Rev 25: 326-55. Arenaza-Urquijo EM, Wirth M, Chételat G. Cognitive reserve and lifestyle: moving towards preclinical Alzheimer’s disease. 2015. Epub 10-08-2015. Front Aging Neurosci 7: 134. 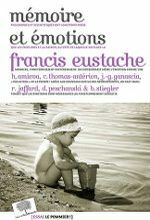 Giffard B, Laisney M, Desgranges B, Eustache F. An exploration of the semantic network in Alzheimer’s disease: Influence of emotion and concreteness of concepts. Aug 2015. Epub 03-06-2015. Cortex 69: 201-11. Besson FL, La Joie R, Doeuvre L, Gaubert M, Mézenge F, Egret S, Landeau B, Barré L, Abbas A, Ibazizene M, de La Sayette V, Desgranges B, Eustache F, Chételat G. Cognitive and Brain Profiles Associated with Current Neuroimaging Biomarkers of Preclinical Alzheimer’s Disease. Jul 2015. J. Neurosci. 35: 10402-11. Pitel AL, Segobin SH, Ritz L, Eustache F, Beaunieux H. Thalamic abnormalities are a cardinal feature of alcohol-related brain dysfunction. Jul 2015. Epub 06-08-2014. Neurosci Biobehav Rev 54: 38-45. Le Berre AP, Pitel AL, Chanraud S, Beaunieux H, Eustache F, Martinot JL, Reynaud M, Martelli C, Rohlfing T, Pfefferbaum A, Sullivan EV. Sensitive biomarkers of alcoholism’s effect on brain macrostructure: similarities and differences between France and the United States. 2015. Epub 23-06-2015. Front Hum Neurosci 9: 354. Fawcett JM, Benoit RG, Gagnepain P, Salman A, Bartholdy S, Bradley C, Chan DK, Roche A, Brewin CR, Anderson MC. The origins of repetitive thought in rumination: separating cognitive style from deficits in inhibitory control over memory. Jun 2015. Epub 07-11-2014. J Behav Ther Exp Psychiatry 47: 1-8. Collet S, Valable S, Constans JM, Lechapt-Zalcman E, Roussel S, Delcroix N, Abbas A, Ibazizene M, Bernaudin M, Barré L, Derlon JM, Guillamo JS. [(18)F]-fluoro-L-thymidine PET and advanced MRI for preoperative grading of gliomas. 2015. Epub 29-05-2015. Neuroimage Clin 8: 448-54. Tomadesso C, Perrotin A, Mutlu J, Mézenge F, Landeau B, Egret S, de la Sayette V, Jonin PY, Eustache F, Desgranges B, Chételat G. Brain structural, functional, and cognitive correlates of recent versus remote autobiographical memories in amnestic Mild Cognitive Impairment. 2015. Epub 28-05-2015. Neuroimage Clin 8: 473-82. Carluer L, Mondou A, Buhour MS, Laisney M, Pélerin A, Eustache F, Viader F, Desgranges B. Neural substrate of cognitive theory of mind impairment in amyotrophic lateral sclerosis. Apr 2015. Epub 29-12-2014. Cortex 65: 19-30. Lecouvey G, Quinette P, Kalpouzos G, Guillery-Girard B, Bejanin A, Gonneaud J, Abbas A, Viader F, Eustache F, Desgranges B. Binding in working memory and frontal lobe in normal aging: is there any similarity with autism? 2015. Epub 05-03-2015. Front Hum Neurosci 9: 90. Martins S, Guillery-Girard B, Clochon P, Bulteau C, Hertz-Pannier L, Chiron C, Eustache F, Jambaqué I. Associative episodic memory and recollective processes in childhood temporal lobe epilepsy. Mar 2015. Epub 04-02-2015. Epilepsy Behav 44: 86-9. Quinette P, Constans JM, Hainselin M, Desgranges B, Eustache F, Viader F. Hippocampal modifications in transient global amnesia. Mar 2015. Epub 11-03-2015. Rev. Neurol. (Paris) 171: 282-8.
de Flores R, La Joie R, Landeau B, Perrotin A, Mézenge F, de La Sayette V, Eustache F, Desgranges B, Chételat G. Effects of age and Alzheimer’s disease on hippocampal subfields: comparison between manual and FreeSurfer volumetry. Feb 2015. Epub 18-09-2014. Hum Brain Mapp 36: 463-74. Perrier J, Clochon P, Bertran F, Couque C, Bulla J, Denise P, Bocca ML. Specific EEG sleep pattern in the prefrontal cortex in primary insomnia. 2015. Epub 22-01-2015. PLoS ONE 10: e0116864. Jessen F, Amariglio RE, van Boxtel M, Breteler M, Ceccaldi M, Chételat G, Dubois B, Dufouil C, Ellis KA, van der Flier WM, Glodzik L, van Harten AC, de Leon MJ, McHugh P, Mielke MM, Molinuevo JL, Mosconi L, Osorio RS, Perrotin A, Petersen RC, Rabin LA, Rami L, Reisberg B, Rentz DM, Sachdev PS, de la Sayette V, Saykin AJ, Scheltens P, Shulman MB, Slavin MJ, Sperling RA, Stewart R, Uspenskaya O, Vellas B, Visser PJ, Wagner M, Subjective Cognitive Decline Initiative (SCD-I) Working Group. A conceptual framework for research on subjective cognitive decline in preclinical Alzheimer’s disease. Nov 2014. Epub 03-05-2014. Alzheimers Dement 10: 844-52. Viard A, Piolino P, Belliard S, de La Sayette V, Desgranges B, Eustache F. Episodic future thinking in semantic dementia: a cognitive and FMRI study. 2014. Epub 21-10-2014. PLoS ONE 9: e111046. Fauvel B, Groussard M, Mutlu J, Arenaza-Urquijo EM, Eustache F, Desgranges B, Platel H. Musical practice and cognitive aging: two cross-sectional studies point to phonemic fluency as a potential candidate for a use-dependent adaptation. 2014. Epub 09-10-2014. Front Aging Neurosci 6: 227. Groussard M, Viader F, Landeau B, Desgranges B, Eustache F, Platel H. The effects of musical practice on structural plasticity: the dynamics of grey matter changes. Oct 2014. Epub 13-08-2014. Brain Cogn 90: 174-80. 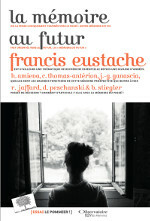 Juskenaite A, Quinette P, Desgranges B, de La Sayette V, Viader F, Eustache F. Mental simulation of future scenarios in transient global amnesia. Oct 2014. Epub 09-08-2014. Neuropsychologia 63: 1-9. Lange M, Giffard B, Noal S, Rigal O, Kurtz JE, Heutte N, Lévy C, Allouache D, Rieux C, Le Fel J, Daireaux A, Clarisse B, Veyret C, Barthélémy P, Longato N, Eustache F, Joly F. Baseline cognitive functions among elderly patients with localised breast cancer. Sep 2014. Epub 20-06-2014. Eur. J. Cancer 50: 2181-9. Ritz L, Segobin S, Le Berre AP, Lannuzel C, Boudehent C, Vabret F, Eustache F, Pitel AL, Beaunieux H. Brain structural substrates of cognitive procedural learning in alcoholic patients early in abstinence. Aug 2014. Alcohol. Clin. Exp. Res. 38: 2208-16. Brion M, Pitel AL, Beaunieux H, Maurage P. Revisiting the continuum hypothesis: toward an in-depth exploration of executive functions in korsakoff syndrome. 2014. Epub 04-07-2014. Front Hum Neurosci 8: 498. Lange M, Rigal O, Clarisse B, Giffard B, Sevin E, Barillet M, Eustache F, Joly F. Cognitive dysfunctions in elderly cancer patients: a new challenge for oncologists. Jul 2014. Epub 20-03-2014. Cancer Treat. Rev. 40: 810-7. Gonneaud J, Rauchs G, Groussard M, Landeau B, Mézenge F, de La Sayette V, Eustache F, Desgranges B. How do we process event-based and time-based intentions in the brain? an fMRI study of prospective memory in healthy individuals. Jul 2014. Epub 08-11-2013. Hum Brain Mapp 35: 3066-82. 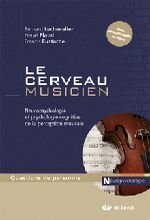 Fauvel B, Groussard M, Chételat G, Fouquet M, Landeau B, Eustache F, Desgranges B, Platel H. Morphological brain plasticity induced by musical expertise is accompanied by modulation of functional connectivity at rest. Apr 2014. Epub 10-01-2014. Neuroimage 90: 179-88. La Joie R, Landeau B, Perrotin A, Bejanin A, Egret S, Pélerin A, Mézenge F, Belliard S, de La Sayette V, Eustache F, Desgranges B, Chételat G. Intrinsic connectivity identifies the hippocampus as a main crossroad between Alzheimer’s and semantic dementia-targeted networks. Mar 2014. Neuron 81: 1417-1428. Morel N, Villain N, Rauchs G, Gaubert M, Piolino P, Landeau B, Mézenge F, Desgranges B, Eustache F, Chételat G. Brain activity and functional coupling changes associated with self-reference effect during both encoding and retrieval. 2014. Epub 07-03-2014. PLoS ONE 9: e90488. Segobin SH, Chételat G, Le Berre AP, Lannuzel C, Boudehent C, Vabret F, Eustache F, Beaunieux H, Pitel AL. Relationship between brain volumetric changes and interim drinking at six months in alcohol-dependent patients. Mar 2014. Epub 31-01-2014. Alcohol. Clin. Exp. Res. 38: 739-48. Le Berre AP, Rauchs G, La Joie R, Mézenge F, Boudehent C, Vabret F, Segobin S, Viader F, Allain P, Eustache F, Pitel AL, Beaunieux H. Impaired decision-making and brain shrinkage in alcoholism. Mar 2014. Epub 24-11-2012. Eur. Psychiatry 29: 125-33. Hainselin M, Quinette P, Juskenaite A, Desgranges B, Martinaud O, de La Sayette V, Hannequin D, Viader F, Eustache F. Just do it! How performing an action enhances remembering in transient global amnesia. Jan 2014. Epub 30-10-2013. Cortex 50: 192-9. Pitel AL, Eustache F, Beaunieux H. Component processes of memory in alcoholism: pattern of compromise and neural substrates. 2014. Handb Clin Neurol 125: 211-25. Merck C, Jonin PY, Laisney M, Vichard H, Belliard S. When the zebra loses its stripes but is still in the savannah: results from a semantic priming paradigm in semantic dementia. Jan 2014. Epub 06-12-2013. Neuropsychologia 53: 221-32. Souchay C, Guillery-Girard B, Pauly-Takacs K, Wojcik DZ, Eustache F. Subjective experience of episodic memory and metacognition: a neurodevelopmental approach. Dec 2013. Epub 25-12-2013. Front Behav Neurosci 7: 212. 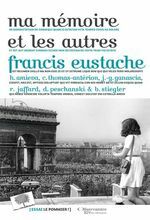 Eustache ML, Laisney M, Juskenaite A, Letortu O, Platel H, Eustache F, Desgranges B. Sense of identity in advanced Alzheimer’s dementia: a cognitive dissociation between sameness and selfhood? Dec 2013. Epub 29-10-2013. Conscious Cogn 22: 1456-67. Viard A, Desgranges B, Matuszewski V, Lebreton K, Belliard S, de La Sayette V, Eustache F, Piolino P. Autobiographical memory in semantic dementia: new insights from two patients using fMRI. Nov 2013. Epub 13-08-2013. Neuropsychologia 51: 2620-32. Fauvel B, Groussard M, Eustache F, Desgranges B, Platel H. Neural implementation of musical expertise and cognitive transfers: could they be promising in the framework of normal cognitive aging? 2013. Epub 22-10-2013. Front Hum Neurosci 7: 693. Derache N, Grassiot B, Mézenge F, Emmanuelle Dugué A, Desgranges B, Constans JM, Defer GL. Fatigue is associated with metabolic and density alterations of cortical and deep gray matter in Relapsing-Remitting-Multiple Sclerosis patients at the earlier stage of the disease: A PET/MR study. Oct 2013. Epub 20-04-2013. Mult Scler Relat Disord 2: 362-9. 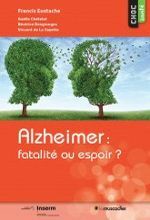 Belliard S, Merck C, Jonin PY, Vérin M. Semantic dementia: aspects of the early diagnosis. Oct 2013. Epub 12-09-2013. Rev. Neurol. (Paris) 169: 806-10. Le Berre AP, Rauchs G, La Joie R, Segobin S, Mézenge F, Boudehent C, Vabret F, Viader F, Eustache F, Pitel AL, Beaunieux H. Readiness to change and brain damage in patients with chronic alcoholism. Sep 2013. Epub 06-07-2013. Psychiatry Res 213: 202-9. Guillery-Girard B, Martins S, Deshayes S, Hertz-Pannier L, Chiron C, Jambaqué I, Landeau B, Clochon P, Chételat G, Eustache F. Developmental trajectories of associative memory from childhood to adulthood: a behavioral and neuroimaging study. 2013. Epub 27-09-2013. Front Behav Neurosci 7: 126. Rauchs G, Piolino P, Bertran F, de La Sayette V, Viader F, Eustache F, Desgranges B. Retrieval of Recent Autobiographical Memories is Associated with Slow-Wave Sleep in Early AD. 2013. Epub 18-09-2013. Front Behav Neurosci 7: 114. Guillery-Girard B, Clochon P, Giffard B, Viard A, Egler PJ, Baleyte JM, Eustache F, Dayan J. « Disorganized in time »: impact of bottom-up and top-down negative emotion generation on memory formation among healthy and traumatized adolescents. Sep 2013. Epub 29-03-2013. J. Physiol. Paris 107: 247-54. La Joie R, Perrotin A, de La Sayette V, Egret S, Doeuvre L, Belliard S, Eustache F, Desgranges B, Chételat G. Hippocampal subfield volumetry in mild cognitive impairment, Alzheimer’s disease and semantic dementia. 2013. Epub 14-08-2013. Neuroimage Clin 3: 155-62. Malle C, Quinette P, Laisney M, Bourrilhon C, Boissin J, Desgranges B, Eustache F, Piérard C. Working memory impairment in pilots exposed to acute hypobaric hypoxia. Aug 2013. Aviat Space Environ Med 84: 773-9. Chételat G, Landeau B, Salmon E, Yakushev I, Bahri MA, Mézenge F, Perrotin A, Bastin C, Manrique A, Scheurich A, Scheckenberger M, Desgranges B, Eustache F, Fellgiebel A. Relationships between brain metabolism decrease in normal aging and changes in structural and functional connectivity. Aug 2013. Epub 19-03-2013. Neuroimage 76: 167-77. Beaunieux H, Pitel AL, Witkowski T, Vabret F, Viader F, Eustache F. Dynamics of the cognitive procedural learning in alcoholics with Korsakoff’s syndrome. Jun 2013. Epub 27-12-2012. Alcohol. Clin. Exp. Res. 37: 1025-32. Giffard B, Viard A, Dayan J, Morel N, Joly F, Eustache F. Autobiographical memory, self, and stress-related psychiatric disorders: which implications in cancer patients? Jun 2013. Epub 03-05-2013. Neuropsychol Rev 23: 157-68. Mevel K, Landeau B, Fouquet M, La Joie R, Villain N, Mézenge F, Perrotin A, Eustache F, Desgranges B, Chételat G. Age effect on the default mode network, inner thoughts, and cognitive abilities. Apr 2013. Epub 18-10-2012. Neurobiol. Aging 34: 1292-301. Chételat G, La Joie R, Villain N, Perrotin A, de La Sayette V, Eustache F, Vandenberghe R. Amyloid imaging in cognitively normal individuals, at-risk populations and preclinical Alzheimer’s disease. 2013. Epub 05-03-2013. Neuroimage Clin 2: 356-65. Groussard M, Mauger C, Platel H. [Musical long-term memory throughout the progression of Alzheimer disease]. Mar 2013. Geriatr Psychol Neuropsychiatr Vieil 11: 99-109. Bon L, Baleyte JM, Piolino P, Desgranges B, Eustache F, Guillery-Girard B. Growing Up with Asperger’s Syndrome: Developmental Trajectory of Autobiographical Memory. 2012. Epub 11-01-2013. Front Psychol 3: 605. Viard A, Desgranges B, Eustache F, Piolino P. Factors affecting medial temporal lobe engagement for past and future episodic events: an ALE meta-analysis of neuroimaging studies. Oct 2012. Epub 16-06-2012. Brain Cogn 80: 111-25. Hainselin M, Quinette P, Desgranges B, Martinaud O, de La Sayette V, Hannequin D, Viader F, Eustache F. Awareness of disease state without explicit knowledge of memory failure in transient global amnesia. Sep 2012. Epub 14-02-2012. Cortex 48: 1079-84. Lebreton K, Villain N, Chételat G, Landeau B, Seghier ML, Lazeyras F, Eustache F, Ibanez V. Repetition enhancement and perceptual processing of visual word form. 2012. Epub 12-07-2012. Front Hum Neurosci 6: 206. Villain N, Chételat G, Grassiot B, Bourgeat P, Jones G, Ellis KA, Ames D, Martins RN, Eustache F, Salvado O, Masters CL, Rowe CC, Villemagne VL, AIBL Research Group. Regional dynamics of amyloid-β deposition in healthy elderly, mild cognitive impairment and Alzheimer’s disease: a voxelwise PiB-PET longitudinal study. Jul 2012. Epub 23-05-2012. Brain 135: 2126-39. Bejanin A, Viard A, Chételat G, Clarys D, Bernard F, Pélerin A, de La Sayette V, Eustache F, Desgranges B. When Higher Activations Reflect Lower Deactivations: A PET Study in Alzheimer’s Disease during Encoding and Retrieval in Episodic Memory. 2012. Epub 01-05-2012. Front Hum Neurosci 6: 107. Pitel AL, Chételat G, Le Berre AP, Desgranges B, Eustache F, Beaunieux H. Macrostructural abnormalities in Korsakoff syndrome compared with uncomplicated alcoholism. Apr 2012. Epub 11-04-2012. Neurology 78: 1330-3. Beaunieux H, Eustache F, Busson P, de la Sayette V, Viader F, Desgranges B. Cognitive procedural learning in early Alzheimer’s disease: impaired processes and compensatory mechanisms. Mar 2012. Epub 11-04-2011. J Neuropsychol 6: 31-42. Fouquet M, Desgranges B, La Joie R, Rivière D, Mangin JF, Landeau B, Mézenge F, Pélerin A, de La Sayette V, Viader F, Baron JC, Eustache F, Chételat G. Role of hippocampal CA1 atrophy in memory encoding deficits in amnestic Mild Cognitive Impairment. Feb 2012. Epub 18-11-2011. Neuroimage 59: 3309-15. Harand C, Bertran F, Doidy F, Guénolé F, Desgranges B, Eustache F, Rauchs G. How aging affects sleep-dependent memory consolidation? 2012. Epub 02-02-2012. Front Neurol 3: 8.
de la Sayette V, Viader F, Chapon F. [Lewy body disease, a frequent dementia]. Feb 2012. Bull. Acad. Natl. Med. 196: 445-55; discussion 455-7. Duval C, Bejanin A, Piolino P, Laisney M, de La Sayette V, Belliard S, Eustache F, Desgranges B. Theory of mind impairments in patients with semantic dementia. Jan 2012. Epub 09-01-2012. Brain 135: 228-41. Duval C, Desgranges B, de La Sayette V, Belliard S, Eustache F, Piolino P. What happens to personal identity when semantic knowledge degrades? A study of the self and autobiographical memory in semantic dementia. Jan 2012. Epub 06-12-2011. Neuropsychologia 50: 254-65. Harand C, Bertran F, La Joie R, Landeau B, Mézenge F, Desgranges B, Peigneux P, Eustache F, Rauchs G. The hippocampus remains activated over the long term for the retrieval of truly episodic memories. 2012. Epub 24-08-2012. PLoS ONE 7: e43495. Hainselin M, Quinette P, Desgranges B, Martinaud O, Hannequin D, de La Sayette V, Viader F, Eustache F. Can we remember future actions yet forget the last two minutes? Study in transient global amnesia. Dec 2011. Epub 14-06-2011. J Cogn Neurosci 23: 4138-49. Mevel K, Desgranges B, Baron JC, Landeau B, de La Sayette V, Viader F, Eustache F, Chételat G. Which SPM method should be used to extract hippocampal measures in early Alzheimer’s disease? Oct 2011. Epub 13-07-2011. J Neuroimaging 21: 310-6. Duval C, Piolino P, Bejanin A, Eustache F, Desgranges B. Age effects on different components of theory of mind. Sep 2011. Epub 15-12-2010. Conscious Cogn 20: 627-42. Noël A, Quinette P, Dayan J, Guillery-Girard B, Piolino P, Pélerin A, de la Sayette V, Viader F, Desgranges B, Eustache F. Influence of patients’ emotional state on the recovery processes after a transient global amnesia. Sep 2011. Epub 26-10-2010. Cortex 47: 981-91. Viard A, Chételat G, Lebreton K, Desgranges B, Landeau B, de La Sayette V, Eustache F, Piolino P. Mental time travel into the past and the future in healthy aged adults: an fMRI study. Feb 2011. Epub 19-11-2010. Brain Cogn 75: 1-9. Chételat G. [Neuroimaging Alzheimer’s disease: early diagnosis, monitoring, and mechanism understanding]. Feb 2011. Epub 08-03-2011. Med Sci (Paris) 27: 193-8. Laisney M, Giffard B, Belliard S, de la Sayette V, Desgranges B, Eustache F. When the zebra loses its stripes: Semantic priming in early Alzheimer’s disease and semantic dementia. Jan 2011. Epub 10-11-2009. Cortex 47: 35-46. Mevel K, Chételat G, Eustache F, Desgranges B. The default mode network in healthy aging and Alzheimer’s disease. 2011. Epub 14-06-2011. Int J Alzheimers Dis 2011: 535816. Groussard M, Rauchs G, Landeau B, Viader F, Desgranges B, Eustache F, Platel H. The neural substrates of musical memory revealed by fMRI and two semantic tasks. Dec 2010. Epub 11-07-2010. Neuroimage 53: 1301-9. Le Berre AP, Pinon K, Vabret F, Pitel AL, Allain P, Eustache F, Beaunieux H. Study of metamemory in patients with chronic alcoholism using a feeling-of-knowing episodic memory task. Nov 2010. Epub 24-08-2010. Alcohol. Clin. Exp. Res. 34: 1888-98. Villain N, Fouquet M, Baron JC, Mézenge F, Landeau B, de La Sayette V, Viader F, Eustache F, Desgranges B, Chételat G. Sequential relationships between grey matter and white matter atrophy and brain metabolic abnormalities in early Alzheimer’s disease. Nov 2010. Epub 05-08-2010. Brain 133: 3301-14. Dayan J, Bernard A, Olliac B, Mailhes AS, Kermarrec S. Adolescent brain development, risk-taking and vulnerability to addiction. Nov 2010. Epub 08-09-2010. J. Physiol. Paris 104: 279-86. La Joie R, Fouquet M, Mézenge F, Landeau B, Villain N, Mevel K, Pélerin A, Eustache F, Desgranges B, Chételat G. Differential effect of age on hippocampal subfields assessed using a new high-resolution 3T MR sequence. Nov 2010. Epub 16-06-2010. Neuroimage 53: 506-14. Rauchs G, Harand C, Bertran F, Desgranges B, Eustache F. [Sleep and episodic memory: a review of the literature in young healthy subjects and potential links between sleep changes and memory impairment observed during aging and Alzheimer’s disease]. Nov 2010. Epub 05-05-2010. Rev. Neurol. (Paris) 166: 873-81. Mevel K, Grassiot B, Chételat G, Defer G, Desgranges B, Eustache F. [The default mode network: cognitive role and pathological disturbances]. Nov 2010. Epub 11-03-2010. Rev. Neurol. (Paris) 166: 859-72. Groussard M, La Joie R, Rauchs G, Landeau B, Chételat G, Viader F, Desgranges B, Eustache F, Platel H. When music and long-term memory interact: effects of musical expertise on functional and structural plasticity in the hippocampus. Oct 2010. Epub 05-10-2010. PLoS ONE 5. Villain N, Landeau B, Groussard M, Mevel K, Fouquet M, Dayan J, Eustache F, Desgranges B, Chételat G. A simple way to improve anatomical mapping of functional brain imaging. Oct 2010. J Neuroimaging 20: 324-33. Pitel AL, Perruchet P, Vabret F, Desgranges B, Eustache F, Beaunieux H. The advantage of errorless learning for the acquisition of new concepts’ labels in alcoholics. Mar 2010. Epub 23-07-2009. Psychol Med 40: 497-502. Groussard M, Viader F, Hubert V, Landeau B, Abbas A, Desgranges B, Eustache F, Platel H. Musical and verbal semantic memory: two distinct neural networks? Feb 2010. Epub 23-10-2009. Neuroimage 49: 2764-73. Viard A, Lebreton K, Chételat G, Desgranges B, Landeau B, Young A, De La Sayette V, Eustache F, Piolino P. Patterns of hippocampal-neocortical interactions in the retrieval of episodic autobiographical memories across the entire life-span of aged adults. Jan 2010. Hippocampus 20: 153-65. 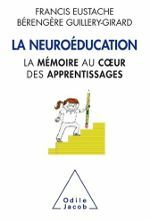 Picard L, Reffuveille I, Eustache F, Piolino P. Development of autonoetic autobiographical memory in school-age children: genuine age effect or development of basic cognitive abilities? Dec 2009. Epub 04-09-2009. Conscious Cogn 18: 864-76. Pitel AL, Aupée AM, Chételat G, Mézenge F, Beaunieux H, de la Sayette V, Viader F, Baron JC, Eustache F, Desgranges B. Morphological and glucose metabolism abnormalities in alcoholic Korsakoff’s syndrome: group comparisons and individual analyses. Nov 2009. Epub 13-11-2009. PLoS ONE 4: e7748. Fouquet M, Desgranges B, Landeau B, Duchesnay E, Mézenge F, de la Sayette V, Viader F, Baron JC, Eustache F, Chételat G. Longitudinal brain metabolic changes from amnestic mild cognitive impairment to Alzheimer’s disease. Aug 2009. Epub 28-05-2009. Brain 132: 2058-67. Groussard M, Viader F, Landeau B, Desgranges B, Eustache F, Platel H. Neural correlates underlying musical semantic memory. Jul 2009. Ann. N. Y. Acad. Sci. 1169: 278-81. Pitel AL, Rivier J, Beaunieux H, Vabret F, Desgranges B, Eustache F. Changes in the episodic memory and executive functions of abstinent and relapsed alcoholics over a 6-month period. Mar 2009. Epub 13-12-2008. Alcohol. Clin. Exp. Res. 33: 490-8. Pitel AL, Beaunieux H, Guillery-Girard B, Witkowski T, de la Sayette V, Viader F, Desgranges B, Eustache F. How do Korsakoff patients learn new concepts? Feb 2009. Epub 30-12-2008. Neuropsychologia 47: 879-86. Guillaume C, Clochon P, Denise P, Rauchs G, Guillery-Girard B, Eustache F, Desgranges B. Early age-related changes in episodic memory retrieval as revealed by event-related potentials. Jan 2009. Neuroreport 20: 191-6. Guillaume C, Guillery-Girard B, Chaby L, Lebreton K, Hugueville L, Eustache F, Fiori N. The time course of repetition effects for familiar faces and objects: an ERP study. Jan 2009. Epub 11-11-2008. Brain Res. 1248: 149-61. Kalpouzos G, Chételat G, Baron JC, Landeau B, Mevel K, Godeau C, Barré L, Constans JM, Viader F, Eustache F, Desgranges B. Voxel-based mapping of brain gray matter volume and glucose metabolism profiles in normal aging. Jan 2009. Epub 13-07-2007. Neurobiol. Aging 30: 112-24. Giffard B, Laisney M, Eustache F, Desgranges B. Can the emotional connotation of concepts modulate the lexico-semantic deficits in Alzheimer’s disease? Jan 2009. Epub 23-07-2008. Neuropsychologia 47: 258-67. Witkowski T, Pitel AL, Beaunieux H, Viader F, Desgranges B, Eustache F. [Sergei Sergeyevich Korsakov (1854-1900): the scholar, the thinker, the psychiatrist, the humanist]. Dec 2008. Rev. Neurol. (Paris) 164: F291-8. Rauchs G, Schabus M, Parapatics S, Bertran F, Clochon P, Hot P, Denise P, Desgranges B, Eustache F, Gruber G, Anderer P. Is there a link between sleep changes and memory in Alzheimer’s disease? Jul 2008. Neuroreport 19: 1159-62. Pitel AL, Beaunieux H, Witkowski T, Vabret F, de la Sayette V, Viader F, Desgranges B, Eustache F. Episodic and working memory deficits in alcoholic Korsakoff patients: the continuity theory revisited. Jul 2008. Alcohol. Clin. Exp. Res. 32: 1229-41. Villain N, Desgranges B, Viader F, de la Sayette V, Mézenge F, Landeau B, Baron JC, Eustache F, Chételat G. Relationships between hippocampal atrophy, white matter disruption, and gray matter hypometabolism in Alzheimer’s disease. Jun 2008. J. Neurosci. 28: 6174-81. Kalpouzos G, Eustache F, Desgranges B. [Cognitive reserve and neural networks in normal aging and Alzheimer’s disease]. Jun 2008. Psychol Neuropsychiatr Vieil 6: 97-105. Eustache F, Desgranges B, Lambert J, Belleville S, Platel H. [The twenty-first century as a neuropsychology era]. May 2008. Rev. Neurol. (Paris) 164 Suppl 3: S63-72. Gagnepain P, Lebreton K, Desgranges B, Eustache F. Perceptual priming enhances the creation of new episodic memories. Mar 2008. Epub 30-04-2007. Conscious Cogn 17: 276-87. Eustache F, Desgranges B. MNESIS: towards the integration of current multisystem models of memory. Mar 2008. Epub 29-02-2008. Neuropsychol Rev 18: 53-69. Chételat G, Desgranges B, Landeau B, Mézenge F, Poline JB, de la Sayette V, Viader F, Eustache F, Baron JC. Direct voxel-based comparison between grey matter hypometabolism and atrophy in Alzheimer’s disease. Jan 2008. Epub 05-12-2007. Brain 131: 60-71. Piolino P, Desgranges B, Hubert V, Bernard FA, Matuszewski V, Chételat G, Baron JC, Eustache F. Reliving lifelong episodic autobiographical memories via the hippocampus: a correlative resting PET study in healthy middle-aged subjects. 2008. Hippocampus 18: 445-59. Giffard B, Laisney M, Mézenge F, de la Sayette V, Eustache F, Desgranges B. The neural substrates of semantic memory deficits in early Alzheimer’s disease: clues from semantic priming effects and FDG-PET. 2008. Epub 31-01-2008. Neuropsychologia 46: 1657-66. Chételat G, Fouquet M, Kalpouzos G, Denghien I, De la Sayette V, Viader F, Mézenge F, Landeau B, Baron JC, Eustache F, Desgranges B. Three-dimensional surface mapping of hippocampal atrophy progression from MCI to AD and over normal aging as assessed using voxel-based morphometry. 2008. Epub 16-01-2008. Neuropsychologia 46: 1721-31. Hubert V, Beaunieux H, Chételat G, Platel H, Landeau B, Danion JM, Viader F, Desgranges B, Francis Eustache. The dynamic network subserving the three phases of cognitive procedural learning. Dec 2007. Hum Brain Mapp 28: 1415-29. Desgranges B, Matuszewski V, Piolino P, Chételat G, Mézenge F, Landeau B, de la Sayette V, Belliard S, Eustache F. Anatomical and functional alterations in semantic dementia: a voxel-based MRI and PET study. Dec 2007. Epub 15-09-2006. Neurobiol. Aging 28: 1904-13. Fouquet M, Villain N, Chételat G, Eustache F, Desgranges B. [Cerebral imaging and physiopathology of Alzheimer’s disease]. Dec 2007. Psychol Neuropsychiatr Vieil 5: 269-79. Viard A, Piolino P, Desgranges B, Chételat G, Lebreton K, Landeau B, Young A, De La Sayette V, Eustache F. Hippocampal activation for autobiographical memories over the entire lifetime in healthy aged subjects: an fMRI study. Oct 2007. Epub 04-01-2007. Cereb. Cortex 17: 2453-67. 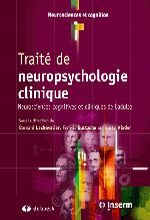 Lambert J, Giffard B, Nore F, de la Sayette V, Pasquier F, Eustache F. Central and peripheral agraphia in Alzheimer’s disease: from the case of Auguste D. to a cognitive neuropsychology approach. Oct 2007. Cortex 43: 935-51. Piolino P, Chételat G, Matuszewski V, Landeau B, Mézenge F, Viader F, de la Sayette V, Eustache F, Desgranges B. In search of autobiographical memories: A PET study in the frontal variant of frontotemporal dementia. Sep 2007. Epub 19-04-2007. Neuropsychologia 45: 2730-43. Rauchs G, Piolino P, Mézenge F, Landeau B, Lalevée C, Pélerin A, Viader F, de la Sayette V, Eustache F, Desgranges B. Autonoetic consciousness in Alzheimer’s disease: neuropsychological and PET findings using an episodic learning and recognition task. Sep 2007. Epub 18-07-2006. Neurobiol. Aging 28: 1410-20. Duval C, Eustache F, Piolino P. [Multidimensional Self, autobiographical memory and aging]. Sep 2007. Psychol Neuropsychiatr Vieil 5: 179-92. Mevel K, Desgranges B, Baron JC, Landeau B, De la Sayette V, Viader F, Eustache F, Chételat G. Detecting hippocampal hypometabolism in Mild Cognitive Impairment using automatic voxel-based approaches. Aug 2007. Epub 08-05-2007. Neuroimage 37: 18-25. Pitel AL, Beaunieux H, Witkowski T, Vabret F, Guillery-Girard B, Quinette P, Desgranges B, Eustache F. Genuine episodic memory deficits and executive dysfunctions in alcoholic subjects early in abstinence. Jul 2007. Epub 20-05-2007. Alcohol. Clin. Exp. Res. 31: 1169-78. Piolino P, Hisland M, Ruffeveille I, Matuszewski V, Jambaqué I, Eustache F. Do school-age children remember or know the personal past? Mar 2007. Epub 07-02-2006. Conscious Cogn 16: 84-101. Pitel AL, Witkowski T, Vabret F, Guillery-Girard B, Desgranges B, Eustache F, Beaunieux H. Effect of episodic and working memory impairments on semantic and cognitive procedural learning at alcohol treatment entry. Feb 2007. Alcohol. Clin. Exp. Res. 31: 238-48. Piolino P, Desgranges B, Manning L, North P, Jokic C, Eustache F. Autobiographical memory, the sense of recollection and executive functions after severe traumatic brain injury. Feb 2007. Cortex 43: 176-95. Mevel K, Chetelat G, Desgranges B, Eustache F. [Alzheimer’s disease, hippocampus and neuroimaging]. Dec 2006. Encephale 32 Pt 4: S1149-54. 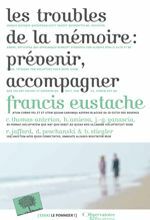 Guillery-Girard B, Quinette P, Desgranges B, Piolino P, Viader F, de la Sayette V, Eustache F. Long-term memory following transient global amnesia: an investigation of episodic and semantic memory. Nov 2006. Acta Neurol. Scand. 114: 329-33. Chételat G, Desgranges B, Eustache F. [Brain profile of hypometabolism in early Alzheimer’s disease: relationships with cognitive deficits and atrophy]. Oct 2006. Rev. Neurol. (Paris) 162: 945-51. Eustache F, Giffard B, Rauchs G, Chételat G, Piolino P, Desgranges B. [Alzheimer’s disease and human memory]. Oct 2006. Rev. Neurol. (Paris) 162: 929-39. Berkouk K, Quarantelli M, Prinster A, Landeau B, Alfano B, Baron JC. Mapping the relative contribution of gray matter activity vs. volume in brain PET: a new approach. Jul 2006. J Neuroimaging 16: 224-35. Beaunieux H, Hubert V, Witkowski T, Pitel AL, Rossi S, Danion JM, Desgranges B, Eustache F. Which processes are involved in cognitive procedural learning? Jul 2006. Memory 14: 521-39. Lecardeur L, Giffard B, Eustache F, Dollfus S. [Schizophrenia and semantic priming effects]. . Encephale 32: 75-82. Martins S, Guillery-Girard B, Jambaqué I, Dulac O, Eustache F. How children suffering severe amnesic syndrome acquire new concepts? 2006. Epub 25-07-2006. Neuropsychologia 44: 2792-805. Matuszewski V, Piolino P, de la Sayette V, Lalevée C, Pélerin A, Dupuy B, Viader F, Eustache F, Desgranges B. Retrieval mechanisms for autobiographical memories: insights from the frontal variant of frontotemporal dementia. 2006. Epub 14-06-2006. Neuropsychologia 44: 2386-97. Quinette P, Guillery-Girard B, Noël A, de la Sayette V, Viader F, Desgranges B, Eustache F. The relationship between working memory and episodic memory disorders in transient global amnesia. 2006. Epub 11-05-2006. Neuropsychologia 44: 2508-19. Rauchs G, Lebreton K, Bertran F, Pélerin A, Clochon P, Denise P, Foret J, Desgranges B, Eustache F. Effects of partial sleep deprivation on within-format and cross-format priming. Jan 2006. Sleep 29: 58-68. Giffard B, Desgranges B, Eustache F. Semantic memory disorders in Alzheimer’s disease: clues from semantic priming effects. Oct 2005. Curr Alzheimer Res 2: 425-34. Chételat G, Landeau B, Eustache F, Mézenge F, Viader F, de la Sayette V, Desgranges B, Baron JC. Using voxel-based morphometry to map the structural changes associated with rapid conversion in MCI: a longitudinal MRI study. Oct 2005. Neuroimage 27: 934-46. Rauchs G, Desgranges B, Foret J, Eustache F. The relationships between memory systems and sleep stages. Jun 2005. J Sleep Res 14: 123-40. Kalpouzos G, Eustache F, de la Sayette V, Viader F, Chételat G, Desgranges B. Working memory and FDG-PET dissociate early and late onset Alzheimer disease patients. May 2005. Epub 23-02-2005. J. Neurol. 252: 548-58. Chételat G, Eustache F, Viader F, De La Sayette V, Pélerin A, Mézenge F, Hannequin D, Dupuy B, Baron JC, Desgranges B. FDG-PET measurement is more accurate than neuropsychological assessments to predict global cognitive deterioration in patients with mild cognitive impairment. Feb 2005. Neurocase 11: 14-25. Piolino P, Hannequin D, Desgranges B, Girard C, Beaunieux H, Giffard B, Lebreton K, Eustache F.Right ventral frontal hypometabolism and abnormal sense of self in a case of disproportionate retrograde amnesia.2005. Cogn Neuropsychol. 22(8):1005-34. Guillery-Girard B, Desgranges B, Urban C, Piolino P, de la Sayette V, Eustache F. The dynamic time course of memory recovery in transient global amnesia. Nov 2004. J. Neurol. Neurosurg. Psychiatry 75: 1532-40. Piolino P, Giffard-Quillon G, Desgranges B, Chételat G, Baron JC, Eustache F. Re-experiencing old memories via hippocampus: a PET study of autobiographical memory. Jul 2004. Neuroimage. 22(3):1371-83. Eustache F, Piolino P, Giffard B, Viader F, De La Sayette V, Baron JC, Desgranges B.‘In the course of time’: a PET study of the cerebral substrates of autobiographical amnesia in Alzheimer’s disease. Jul 2004. Brain 127: 1549-60. Laisney M, Giffard B, Eustache F. [Semantic memory in Alzheimer’s disease: contributions of semantic priming]. Jun 2004. Psychol Neuropsychiatr Vieil 2: 107-15. Rauchs G, Bertran F, Guillery-Girard B, Desgranges B, Kerrouche N, Denise P, Foret J, Eustache F. Consolidation of strictly episodic memories mainly requires rapid eye movement sleep. May 2004. Sleep 27: 395-401. Chételat G, Desgranges B, de la Sayette V, Viader F, Eustache F. [At the boundary between normal aging and Alzheimer disease]. Apr 2004. Rev Neurol (Paris) 160:S55-63. 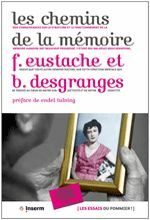 Desgranges B, Chételat G, Eustache F.. [Brain substrates of episodic memory disorders in Alzheimer’s disease]. Apr 2004. Rev Neurol (Paris) 160:S44-54. Guillery-Girard B, Martins S, Parisot-Carbuccia D, Eustache F. Semantic acquisition in childhood amnesic syndrome: a prospective study. Feb 2004. Neuroreport 15: 377-81. Souchay C, Isingrini M, Clarys D, Taconnat L, Eustache F. Executive functioning and judgment-of-learning versus feeling-of-knowing in older adults. Jan 2004. Exp Aging Res. 30: 47-62. Giffard B, Desgranges B, Kerrouche N, Piolino P, Eustache F. The hyperpriming phenomenon in normal aging: a consequence of cognitive slowing? Oct 2003. Neuropsychology 17: 594-601. Piolino P, Desgranges B, Belliard S, Matuszewski V, Lalevée C, De la Sayette V, Eustache F. Autobiographical memory and autonoetic consciousness: triple dissociation in neurodegenerative diseases. Oct 2003. Epub 23-06-2003. Brain 126: 2203-19. Platel H, Baron JC, Desgranges B, Bernard F, Eustache F. Semantic and episodic memory of music are subserved by distinct neural networks. Sep 2003. Neuroimage 20:244-56. Quinette P, Guillery B, Desgranges B, de la Sayette V, Viader F, Eustache F. Working memory and executive functions in transient global amnesia. Sep 2003. Epub 22-07-2003. Brain 126: 1917-34. Chetelat G, Desgranges B, de la Sayette V, Viader F, Berkouk K, Landeau B, Lalevée C, Le Doze F, Dupuy B, Hannequin D, Baron JC, Eustache F. Dissociating atrophy and hypometabolism impact on episodic memory in mild cognitive impairment. Sep 2003. Epub 23-06-2003. Brain 126: 1955-67. Chetelat G, Baron JC. Early diagnosis of Alzheimer’s disease: contribution of structural neuroimaging. Feb 2003. Neuroimage 18: 525-41. Chételat G, Desgranges B, de la Sayette V, Viader F, Eustache F, Baron JC. Mild cognitive impairment: Can FDG-PET predict who is to rapidly convert to Alzheimer’s disease? Apr 2003. Neurology 60: 1374-7. Desgranges B, Baron JC, Giffard B, Chételat G, Lalevée C, Viader F, de la Sayette V, Eustache F. The neural basis of intrusions in free recall and cued recall: a PET study in Alzheimer’s disease. Nov 2002. Neuroimage 17: 1658-64. Chételat G, Desgranges B, De La Sayette V, Viader F, Eustache F, Baron JC. Mapping gray matter loss with voxel-based morphometry in mild cognitive impairment. Oct 2002. Neuroreport 13: 1939-43. Desgranges B, Baron JC, Lalevée C, Giffard B, Viader F, de La Sayette V, Eustache F. The neural substrates of episodic memory impairment in Alzheimer’s disease as revealed by FDG-PET: relationship to degree of deterioration. May 2002. Brain 125: 1116-24. Giffard B, Desgranges B, Nore-Mary F, Lalevée C, Beaunieux H, de la Sayette V, Pasquier F, Eustache F. The dynamic time course of semantic memory impairment in Alzheimer’s disease: clues from hyperpriming and hypopriming effects. Sep 2002. Brain 125: 2044-57.